Algebra Graphing Calculator by Academ Media Labs, LLC. 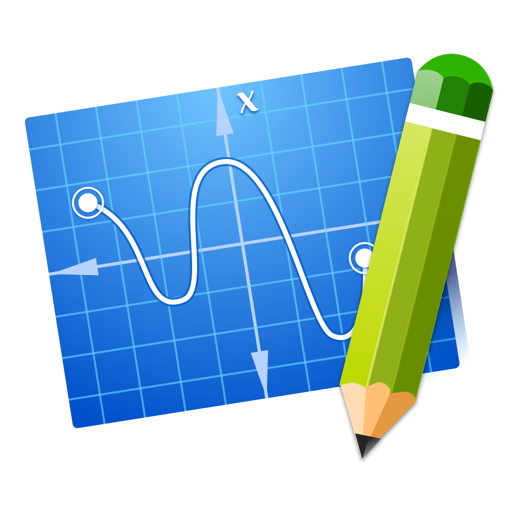 Algebra Graphing Calculator is a simple tool that helps you graph tricky school equations in one click. - Type your function in the Function box and press "DRAW" to graph it. - You can zoom in and out or move the display region to view the plotted coordinates on your graph. - Press "shift + mouse wheel" for horizontal scrolling. - Logarithm (ln(x) for natural log and log(x) for log base 10). Algebra Graphing Calculator - graphs your algebra homework questions easily!